Do you feel lost in the crowd? Is the beat of the drum a bit distracting? Are you seeking God’s direction for your life? Do you long for moments of quiet reflection and prayer as you seek to worship God? Are you looking for a community of faith striving for life based on God’s Word and centered on Christ? Are you willing to use your gifts in service to God in Christ? Do you seek a warm welcome to the Family of God? 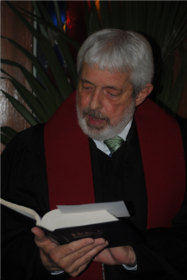 …will find a genuine welcome from genuine people at First Presbyterian Church of Phenix City. Even more, we have room for you!